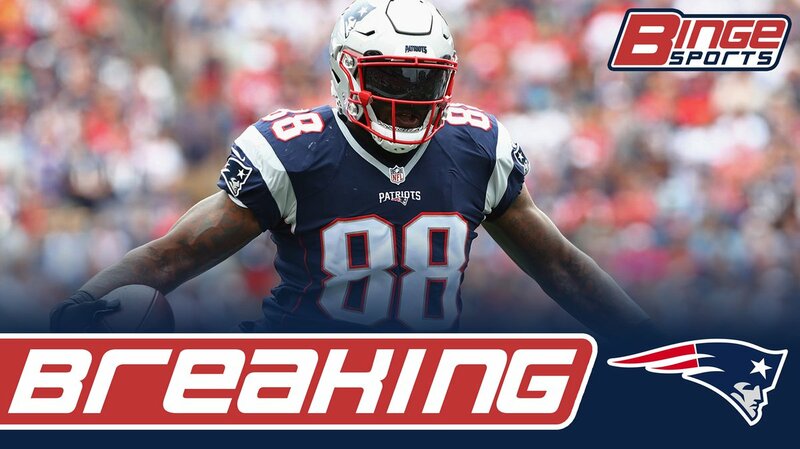 Former Packers’ TE Martellus Bennett claimed on waivers by the New England Patriots, per source. And just when you think this team couldn’t get any better, they go and pull this off. One of the better Tight Ends in football just lands right in their laps. The Patriots have been struggling in the Red Zone? Hello Marty. Chris Hogan arm is still in a sling? Hello Marty. Dwayne Allen STILL hasn’t caught a pass this year? Hello Marty. Bennett was rock solid for the Patriots all last season and was a huge reason why they were able to win the Super Bowl even without Gronk. Brady has trust Bennett, which he obviously doesn’t have in Allen. Marty was a go to guy and made big play and big play while suiting up every week even though he was banged up. LeGarrette Blount 2.0. While I could not be any more excited to have Bennett back in New England, I am very surprised that they claimed him off waivers. I thought that when he was cut yesterday by the Packers that the Patriots would bring him in, however, I believed that the they would wait utill he clears and then pick him up on a 1-year-deal. Martellus has already said he is going to retire after this season. I wonder what the logic was for picking up the rest of his 3 year contract. Whatever the reason is, I am glad they did it. I would rather figure out the cap stuff then lose him to someone else. Welcome home Marty, lets win another one.